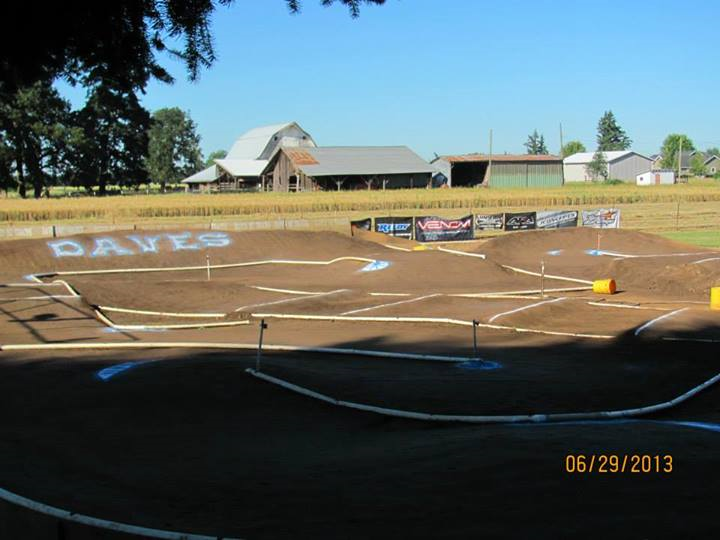 We are headed to Hubbard Oregon, for this weeks featured track, where we will find Dave’s RC Tracks. Dave’s is one of the best outdoor dirt track facilities in the Northwest. It has a large off-road track and a dirt oval that has lights for night racing. Some of the other features include Two Covered Drivers Stands, Covered Pit Area, Pit Tables & Chairs, and Power. They also use the AMB scoring system and have transponders for rent. Daves looks like a great place and if I ever make it to the Northwest, I will be checking out Dave’s RC Tracks after I check out the best college football team. I hope we can pick up and move on quickly from Chip Kelly. I Love My Ducks!!! Hey since I am completely off topic, whatever happened to Supwitchugirl? I loved Return of the Quack. Back to business, this looks like a Great Place and they have some great videos on youtube that back-up that statement. For complete details check out Dave’s RC Tracks at DavesRcTracks.net, Dave’s on Facebook, or follow them on Youtube.